Thank you for your past interest in the Peace Corps. We understand that you have not continued with the Volunteer application process. We strive to make the introduction to the Peace Corps as informative as possible for potential future Volunteers. Please help us make this process even better by responding to the questions in our short survey. It will only take 20-minutes to complete and all responses will be viewed in aggregate. The survey is designed to be completed in a single session. Your input is voluntary and very important to us. Now, I suppose a little background information would be nice to bring you up to speed. At least two or three years before we moved to Belize, around 2004, Dianna and I got the idea of applying for the Peace Corps. The thought, in part was to let Uncle Sam pay for our grand adventure somewhere exotic in the world. Oh, sure, we wanted to help folks less fortunate than us and all that. We weren't interested in learning a new trade, per se, but we were more than willing to learn whatever the Peace Corps had to teach us and we were looking forward to passing that and our own experiences on. For example, they asked me if I was willing to learn bee keeping. Of course, I had said yes. So, anyway. We made it through the online application process, the medical clearance process, the legal process, the three references process, and so on. Actually, during this time, we had also sold our house, looking to the day when we would get our invitation letter, so there would be fewer things holding us back. We lucked out and sold the house at just the perfect time at the height of the market, entirely by accident, I assure you. The Peace Corps had asked us where we wanted to go (three choices, just like in the military). We asked for Africa, Central America, or anywhere warm. That was our main criteria. The Peace Corps folks eventually told us when we were invited that we would probably be sent to Africa. Fine with us. We really didn't care, as long as it was warm. There were several hoops we had to jump through in the medical application process, partly I'm sure, due to our age, and other potential issues we may have had. We did get clearances to proceed from our doctors with no reservations or restrictions for anything we might be tasked to perform. We finished the application process about the end of 2005 and began to wait for an assignment. And we waited. And we waited. We also called and emailed the Peace Corps more or less on a monthly basis to inquire how things were going and when we might hear something, that we were still very much interested, etc., etc. Finally, it began to get a little old - waiting, that is. About February of 2007, we went to Florida to visit some friends who had a condo in Ft. Meyers. Just about that time, Dianna had retired from the non-profit association she worked at. I was still working. While we were there, we decided it was time to get on with our lives and our dream before we got too old and decrepit to do something exciting. We talked about this place called Belize, that we might start there, spend some time, see what it was like, and if we didn't like it, check out Panama, Costa Rica and the rest of Central America. 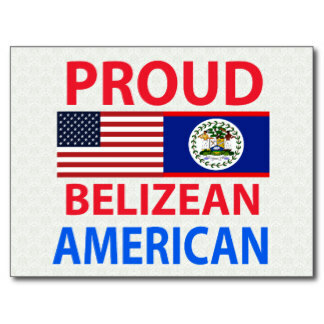 While we researched things on the Web for our niche in paradise, this place called Belize kept popping up. During one of the orientation meetings for the Peace Corps that we attended, the Regional Director at that time had done his PC experience in Belize City, doing outdoor adventure programming for inner-city disadvantaged youth. His experiences very much piqued our interest. And, at about this same time, I decided it was time for me to retire too. I pulled the plug a couple of months after we returned from Florida. 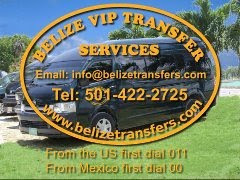 Then we booked a flight from Seattle to Belize City, fully intending to travel throughout Belize for 30 days and return. We flew down to Belize in May 2007 and fell in love with the country at first sight. So much so, that we didn't follow any of the advice people give. We bought our property after we had been here for three days and our Isuzu after another two. We found a house to rent for six months through the people we bought the property from, and moved in there within a week or two. We never did tour around the country like we intended. 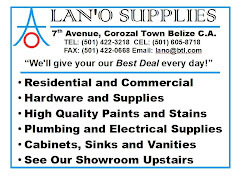 We just explored Corozal. At the end of our vacation, we flew back to Olympia, had a garage sale, selling off some of the things we didn't think we'd need, and packed up everything else. 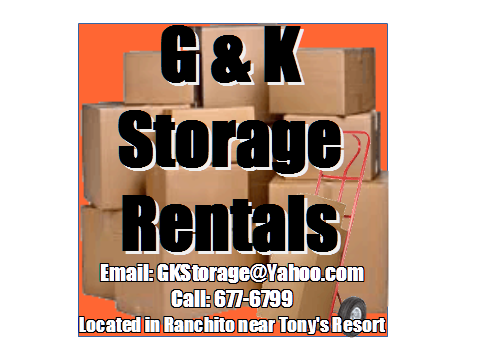 We rented a truck to haul all our stuff to Los Angeles for shipment on to Belize, packed up the kitties (14 and 18 years old at the time - no spring chickens there either) and the four of us flew back to Belize via Cancun. 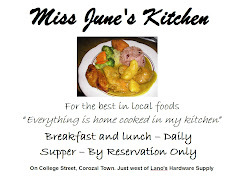 We arrived in Corozal, June 10, 2007, and have lived here ever since. So, that gets us back to today, when I got that email from the Peace Corps. Something like five years late they want to find out why we withdrew from the application process. Hmmm, could timeliness be connected somehow? You think? Now, having said all that, are we negative toward the Peace Corps? No, not at all. All things being equal, we would do it all over again. I just wish that the next time, we would have gotten an assignment out of the deal. Would I advise anyone else to apply to the Peace Corps? Absolutely! It would be probably the grandest adventure you'd ever embark on in your life - short of moving to Belize, of course. It sounds like the Peace Corp is also on Belize time. "Right now!" Absolutely! Or even "Soon come!"